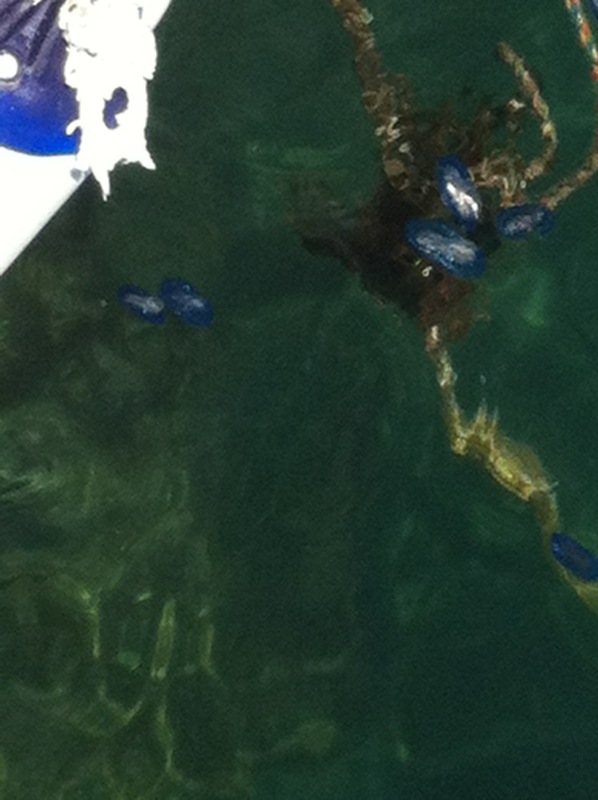 Those look like Velella (By-the-wind sailors). They are blown to shore when the wind shifts... Thanks!